TecStore supplies CASH REGISTERS from just £85 - they are cheap to buy, quick to setup and easy to use. We have the best deals on retail barcode scanning tills from only £265. Our hospitality tills with preset keys are for use in takeaways, cafes, sandwich shops, bars and delis and start from just £215. London's biggest supplier of TILL ROLLS with SAME DAY DELIVERY throughout most of London. 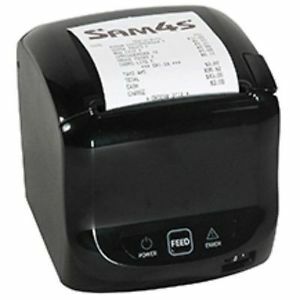 We stock all popular sizes of thermal rolls for credit card machines, tills and receipt printers as well as 1-ply, 2-ply and 3-ply paper rolls and ink ribbons for kitchen printers and dry cleaning tickets. TecStore is a specialist provider of Touchscreen POS SYSTEMS for retail shops, newsagents, bars, cafes, restaurants and take-aways. We offer various Touchscreen POS systems depending on your requirements and budget with options for Wireless Waiter Tablets, Telephone Caller ID for Pizza Delivery and enhanced scanning and stock control. We provide trade-approved RETAIL WEIGHING SCALES for fruit and veg stores, butchers, fish mongers, delicatessen, farm shops, supermarkets and convenience stores. Optional scoops are available with a choice of capacity - 3kg, 6kg, 15kg and 30kg shop scales. We also supply label printing weighing scales for shops. If your cash register requires a component repair due to a faulty printer, cash drawer, display or keyboard contact us for a professional REPAIR SERVICE. We can help to re-program your till with changes to your receipt information, department keys, menus/prices & other till programming requirements. Contact us on 020 8936 7000 for advice or to order by phone. We are open 7 days. Our expert staff will be happy to discuss your business requirements, guide you through the different options, provide a competitive quote and arrange prompt delivery.